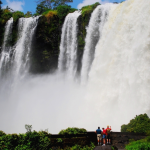 You would have to really scan the world of adventure tours to find so many exciting activities all packed into one 12 day adventure trip like this one. And that’s why the state of Veracruz is called, México’s Outdoor Adventure Playground. On this 12 day action-packed multi-sport trip, you will experience outdoor challenges on the beach, in the ocean, up in the mountains, and in tropical rain forest jungles. 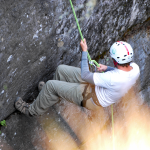 Each day you will get your adrenalin pumping as you experience a different outdoor challenge. Here is a sneak peek . . . Speeding up and down over tall sand dunes on an ATV while overlooking the warm waters of the Gulf of México, getting soaked to the skin on a whitewater river rafting trip, cliff jumping into the river, biking down a rocky mountain trail road, horseback trail ride, enjoying a natural massage under jungle waterfalls, eating great Mexican food, interacting with the local people at a huge outdoor market, hiking in a tropical rain forest, kayaking, snorkelling over coral reefs, ziplining, rappelling down near a waterfall, y mucho más. Veracruz, México is waiting for you! Are YOU ready? Your trip guide will be waiting for you upon your arrival at the Veracruz Airport. If time permits, he can show you around the city. Overnight in a hotel in the city. 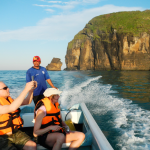 This morning, your adventure group will travel into the city of Veracruz where you will head out in a dive boat to snorkel or *SCUBA Dive over the beautiful coral reefs which are scattered everywhere and can be found just a short distance from the city shoreline. These reefs are a national underwater park protected by the Mexican government. In the afternoon, your guide will lead you on a tour of this historical port city. Overnight again in Veracruz. * Both SCUBA divers and snorkelers will be on the same boat. Snorkeling is included in the trip fee. For an additional fee, you can sign up to do a 2 tank dive. Included in this fee is the equipment rental for all the necessary dive gear, including a wetsuit. You must bring your diver’s card to show proof of certification. 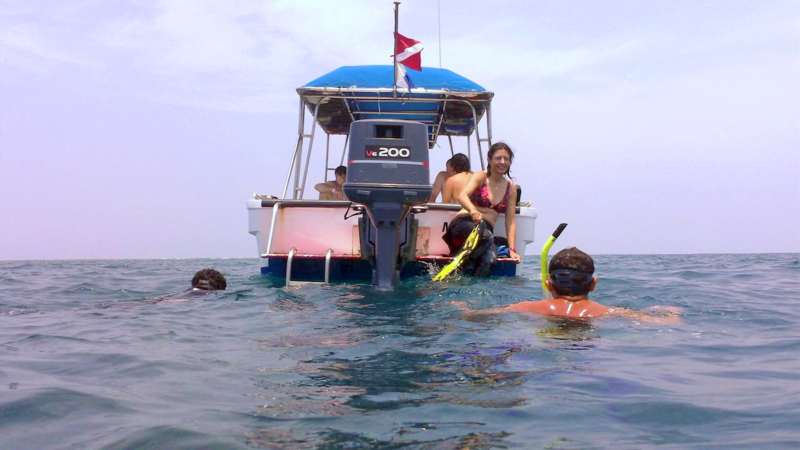 We secure the services of a certified professional dive company for this segment of the trip. Today you will check out and travel to the seaside village of Playa Chachalacas. 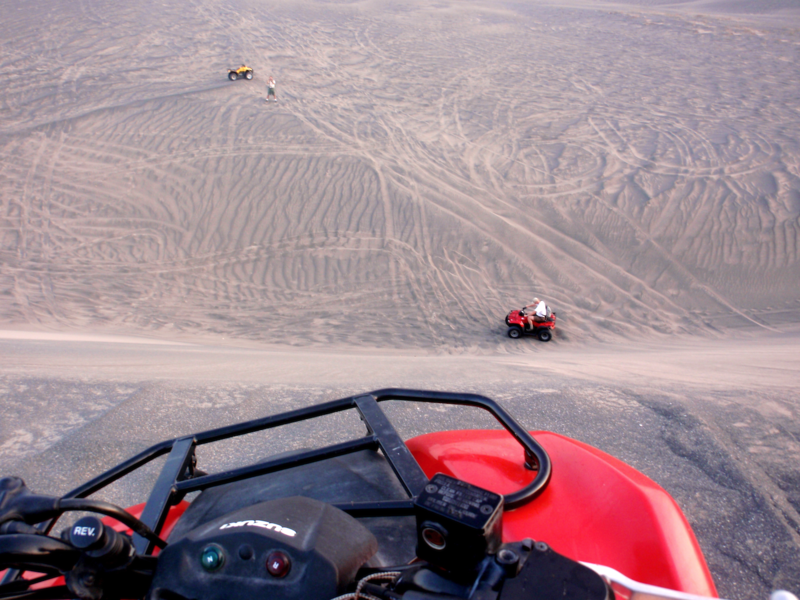 After a lesson in ATV riding, you and your adventure companions will hit the beach and the nearby sand dunes on ATVs. You will be riding alongside the ocean waves as you zoom down the beach before heading up into a maze of tall sand dunes. 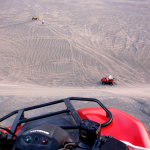 No prior experience is necessary as you will quickly learn how to operate your 4-wheel ATV. 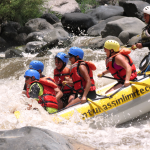 This morning you will check out of your hotel and travel to the river rafting capital of Veracruz found in the tropical small town of Jalcomulco. 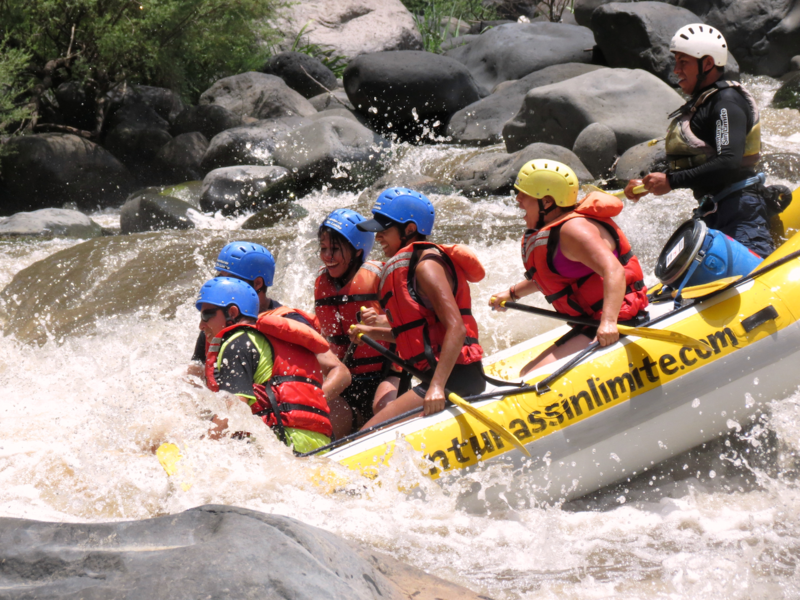 Everyone will embark on a whitewater river rafting trip (class 2-3 rapids). 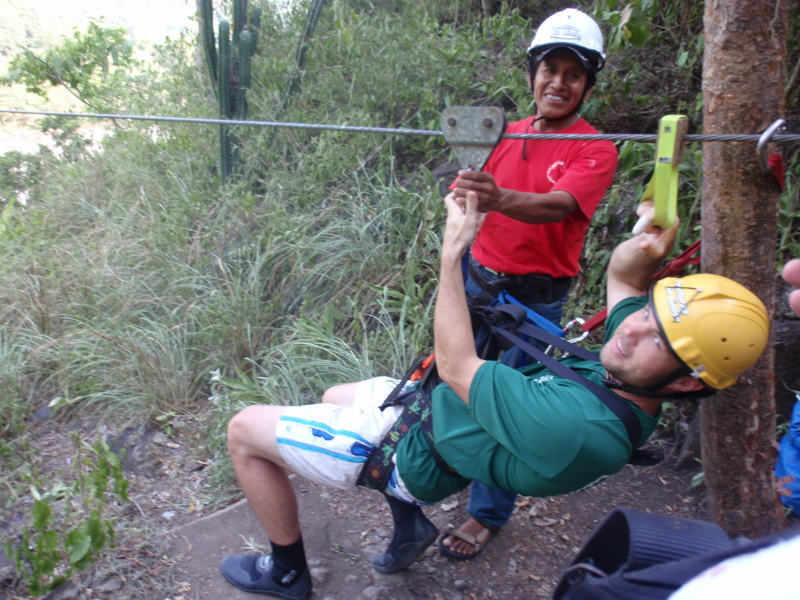 You will also have the thrill of a high speed zipline ride all the way over the river. Later in the evening, everyone will participate in an ancient ritual known as Temascal. This “spiritual cleansing” takes place in an igloo-shaped hut with water poured over hot rocks in the middle to produce a steam bath effect. Overnight in a local hotel in Jalcomulco. 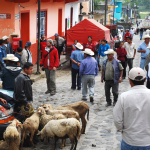 After breakfast, you will check out and enjoy a scenic 2 hour road trip arriving at the cobbled-street town of Coscomatepec. 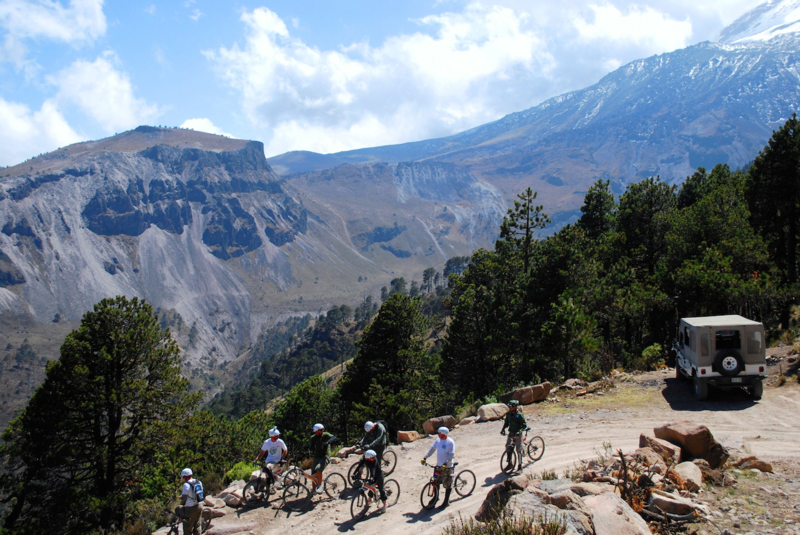 This hilly town is located below the towering snowcapped volcano of Pico de Orizaba. After your group gets settled in at a local hotel there, then it will be time to get ready for a true Mexican cultural experience. Every Monday the whole town transforms into an outdoor market place. Everything from shoes to live animals are bought and bartered here. You can have lunch right in the market where you can sample some local dishes which are prepared fresh. Most likely your group will be the only foreigners there so the locals will probably be watching you as much as you are observing them. Overnight in a Coscomatepec hotel. Today you will experience an early morning 4-wheel drive trip up a rough mostly unpaved road to the base camp of the 3rd tallest mountain in North America. 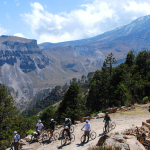 Pico de Orizaba stands at 18,500 feet with a permanent glacier on top. The base camp for climbers is located at 14,500 feet. 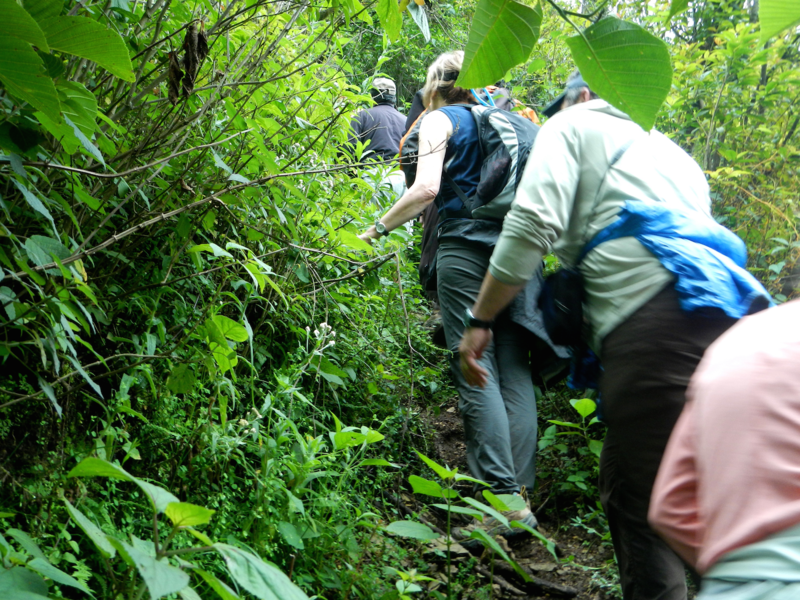 Your guide will lead you on a short high altitude hike up the trail. 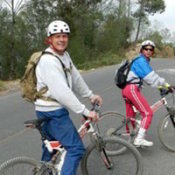 After a boxed lunch, everyone will start the mountain descent on the rocky trail road riding dual suspension mountain bikes. A sag vehicle will be there if anyone wants to take a rest or start the bike descent at a lower altitude. Then it’s back to overnight in Coscomatepec. In the morning, you will check out and travel south toward the city of Córdoba. From there you will take some back roads to get to the trail head for a path which descends way down into a big canyon. At one point, you will begin following a stream, climbing over rocks and crisscrossing the stream. 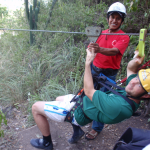 During your canyoneering adventure, you will also be rappelling down waterfalls as you come them; a total of six. And yes, you will definitely get wet. Many of the waterfall rappels end in a pool of very cold water. Sometimes these pools are deep and sometimes not. It depends if you come in the wetter months or drier months. You have the option of wearing a neoprene suit which will be provided. If you have your own, you may want to bring it. Your choice. 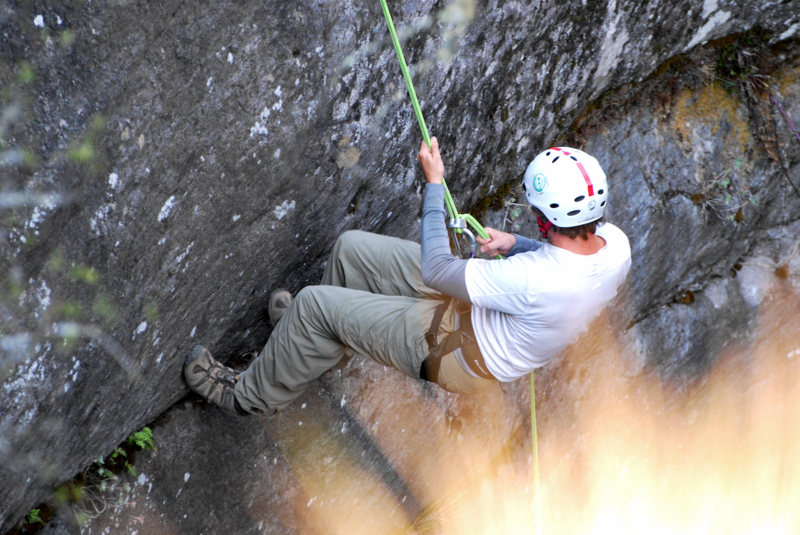 After completing the rappelling segment of this trip, you adventure is not over yet. You will still need to hike up and out of the canyon. It will be a fun and challenging day! Overnight at a hotel in nearby Fortin de Las Flores. This morning your group will leave the mountainous area of western Veracruz and take a road trip to the southern rain forested areas of the state. First stop is to visit a local fish market in the town of Alvarado. Then you will continue to a small village adjacent to the Gulf of México where you will have a relaxing lunch. 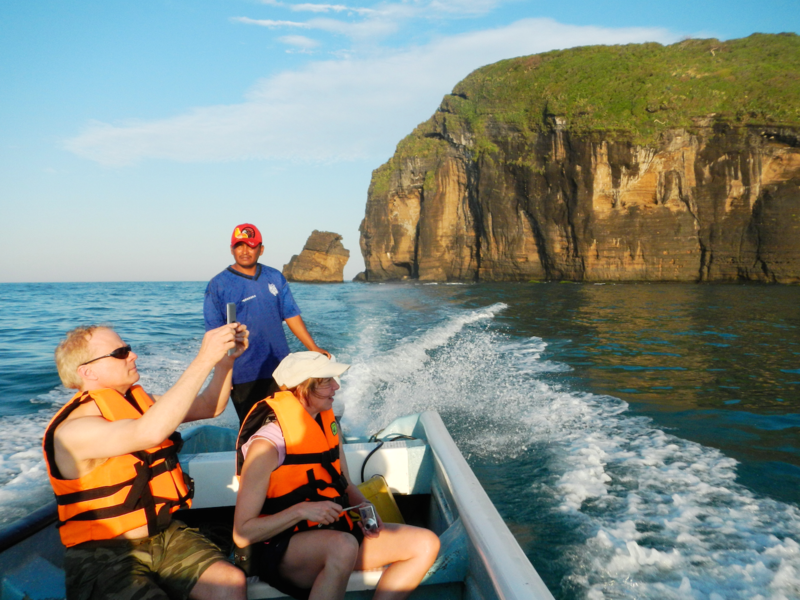 Next, it’s off into the ocean on a local boat to explore the shoreline, see an old pirate cave, and witness hundreds of birds on an island in the ocean. Overnight in a hotel in a small seaside village. After breakfast, your party will travel on a small rough road which winds through the natural thick tropical rain forest to a jungle nature reserve where a young local guide will lead you on a tour to explain some of the history and folklore of the area. Then you will embark on a lake boat ride to take in the wonderful green tropical vistas found everywhere you look. From the boat, you will travel close to some islands to try and spot howler and spider monkeys as well as many tropical birds. Returning back to the nature reserve, your group can enjoy a nice lunch with a scenic view of the lake. After lunch, it's time to saddle up for a horseback trail ride. 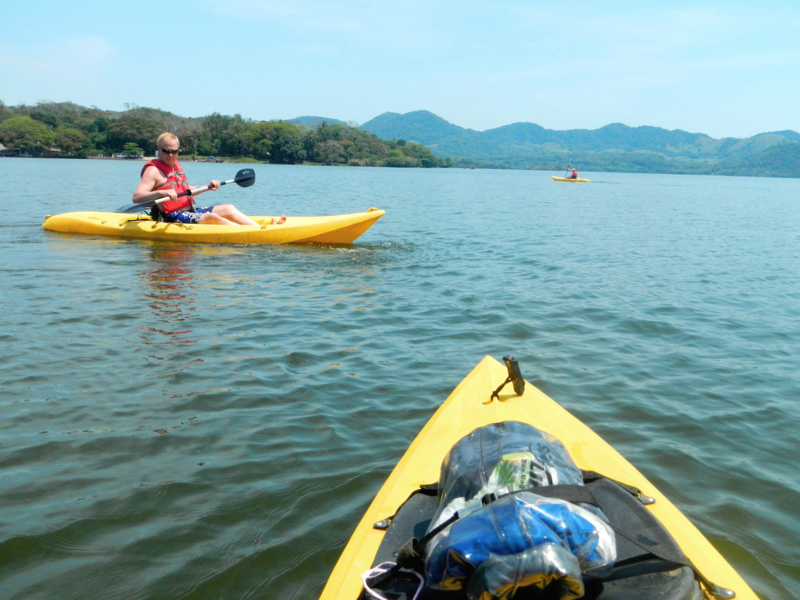 You will head up into the tropical dormant volcanic hills for a ride where you will experience some excellent views of Lake Catemaco. The evening is free to wander around the town. Overnight in a hotel in Catemaco. 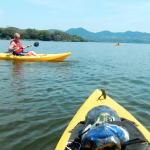 Lake Catemaco is usually a calm peaceful lake in the early morning and a good time for a lake kayak trip. This lake has about 32 miles of shoreline is one of the largest lakes in all of México. You will paddle around a big island and try to spot holler monkeys in the trees. After breakfast, your guide will take you on a day of tropical exploration with a driving tour around parts of the lake. 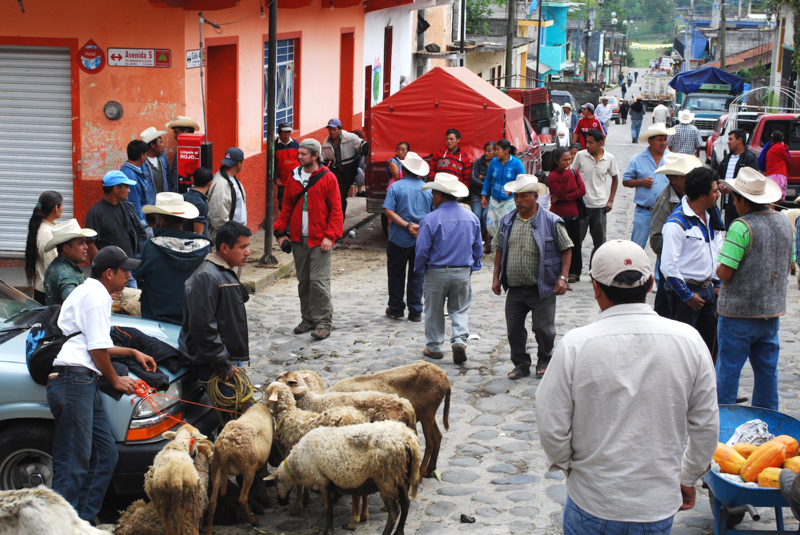 Your final destination will be to the small village of Benito Juarez. 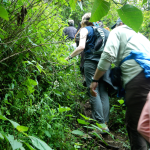 A local resident guide will meet your group and lead you into the tropical rain forest jungle. Along the way, your guide will explain about some of the plants and trees you will be passing. You will also encounter some beautiful waterfalls where (if you choose to) you can swim in the cool pools found below these cascading jungle falls. An outdoor boxed lunch is planned with one of the waterfalls as a backdrop. Later, you will return back to Catemaco and overnight in the town. This area of southern Veracruz is prime for growing tobacco. After checking out of your hotel, you will tour a local cigar manufacturing company. There you can learn about how they grow, cultivate, process, and package their products before they are ready to be shipped worldwide. All aspects of this process are done by hand so you will get to see up-close their employees as they rapidly and skillfully work at the different stations. 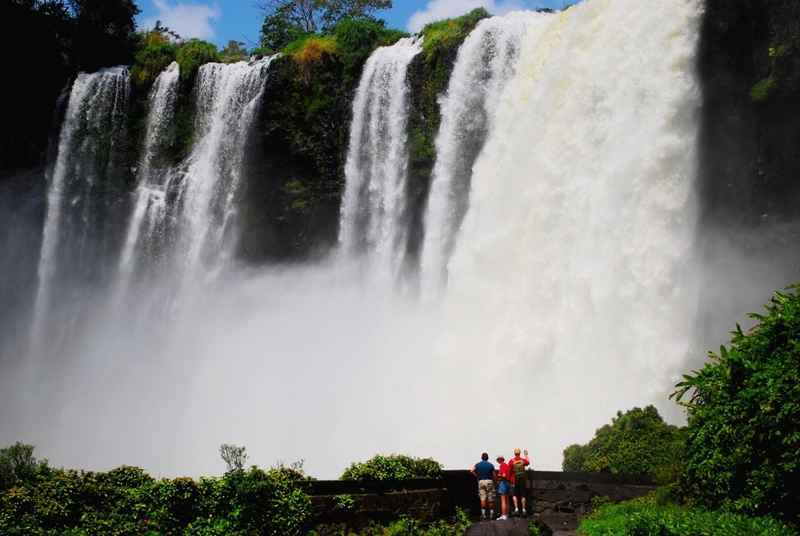 Next, your group will travel a short distance to view the awesome waterfall called, Salto de Eyipantla (Eee-gee-pant-la). This waterfall was featured in the movie, Apocalypto, directed by Mel Gibson. Then you will start traveling back back to the city of Veracruz stopping for lunch along the way at one of the local restaurants. Upon arrival, you can check in at your hotel and later meet up with your guide for a fun farewell celebration dinner. Day 12: Travel Day Home. Buen Viaje! Not included: Airfare, meals not listed above, alcoholic drinks, transfer to airport on day 7, travel/ medical insurance, and guide tips. One of the best things I thought was cool about this tour was the biking down the mountain, meeting the local people and getting out into the back country of Mexico. Not just the big cities. Not Mexico City. Not Cancun and all the other commercialized places. And the food . . . oh yea! 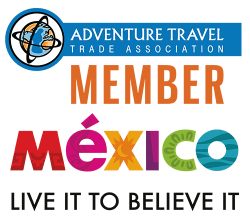 ... You've got to come down to Veracruz with Discover Veracruz Tours because Mike (the owner) and his guides are awesome!